Sam Hawgood has been tapped to become UC San Francisco's 10th chancellor. University of California President Janet Napolitano announced today (July 9) that her choice for the 10th chancellor of UC San Francisco is Sam Hawgood, the UCSF School of Medicine dean who emerged from a national search as the top candidate after leading the campus in an interim role. Hawgood, 61, a highly accomplished scientist, educator and physician with a strong record of leadership, succeeded Susan Desmond-Hellmann as interim chancellor on April 1, 2014. Since then, he has overseen the $4 billion UCSF enterprise, which, in addition to the renowned medical school, includes nationally top-ranked schools of dentistry, nursing and pharmacy, as well as a graduate division and affiliated hospitals. The UC Board of Regents will vote on Napolitano’s selection and the terms of the appointment on July 17 in a special session at the conclusion of the regents’ regular bi-monthly meeting. “Sam Hawgood has served UC San Francisco exceedingly well for three decades — as a researcher, physician and leader,” Napolitano said. “As interim chancellor, he has advanced initiatives in both basic and clinical science, as well as precision medicine. As dean of the School of Medicine, Hawgood has led an organization with an operating budget of more than $1.7 billion, nearly 8,000 faculty and staff, and about 3,655 medical and graduate students, residents, fellows and postdoctoral scholars. Under his leadership, the school became the top medical school in the nation in research funding from the National Institutes of Health ($439.6 million in 2013), with many of its departments also leading the nation in their fields. In that time, the school also became the only medical school in the nation to rank in the top five in both research and primary-care education, in the U.S. News & World Report’s annual assessment of graduate schools. The school’s clinical faculty is known widely for world-class medical care through its practice in the top-ranked UCSF Medical Center, UCSF Benioff Children’s Hospital (newly merged with Children’s Hospital Oakland), Langley Porter Psychiatric Institute, San Francisco General Hospital & Trauma Center, and the San Francisco Veterans’ Administration Medical Center. Hawgood has served as dean of the UCSF School of Medicine and as vice chancellor for medical affairs since September 2009, after assuming the role of interim dean in December 2007. He previously had chaired the Department of Pediatrics, having first served in an interim role. He also served as associate director of the Cardiovascular Research Institute. Numerous organizations and publications have recognized Hawgood’s scientific contributions. He is a member of the American Academy of Pediatrics and the American Association of Physicians, and in 2010 was elected to the Institute of Medicine (IOM), which provides authoritative advice to Congress, other decision makers and the public as part of the National Academy of Sciences. Membership in the IOM is one of the highest honors for individuals at the top of their fields. “I am honored, excited and humbled,” Hawgood said, “by the opportunity to lead UC San Francisco to new horizons in basic and clinical research, teaching and patient care, building on a shared vision of this world-class institution’s excellence, history and legacy. “I look forward to working with all members of the UCSF community — students, faculty and staff, our philanthropic partners and the larger community — as we focus on strengthening every aspect of this great institution,” he said. Hawgood has been active for decades in clinical medicine. He served as division chief of the Division of Neonatology, then as chair of Pediatrics and physician-in-chief of the UCSF Benioff Children’s Hospital before becoming dean. He is the president of the UCSF Medical Group, the faculty association that represents more than 1,800 UCSF physicians. Hawgood joined UCSF as a research fellow in 1982, working with distinguished scientists John A. Clements, M.D., and William H. Tooley, M.D., both pioneers in the discovery and therapeutic uses of pulmonary surfactant, the key lipoprotein that lines healthy lungs and enables them to expand with each breath. He has maintained his own laboratory since 1984. His research has gained him an international reputation in neonatology research. A native of Australia, Hawgood entered medical school at the age of 17, and was graduated with First Class Honors from the University of Queensland in Brisbane with a degree in medicine and surgery (MBBS). Hawgood and his wife, Jane, a social worker who recently retired after focusing on palliative care for adults, met at the University of Queensland. They have two grown sons. “With his incredible credentials, experience and intimate knowledge of every aspect of the campus, Sam Hawgood is the logical and ideal choice to be the next chancellor of UC San Francisco,” said William E. Oberndorf, chair of the UC San Francisco Foundation Board of Directors. The members of the search advisory committee for the UCSF chancellor included five regents; representatives of UC faculty, including the Academic Senate, the UCSF Medical Center and UCSF Foundation; and staff, students and alumni. Napolitano and Varner were ex officio members. The search advisory committee was involved in recruiting, screening and conducting interviews with candidates for the position. The committee reviewed more than 375 prospective candidates and conducted in-depth interviews with seven finalists. The search was assisted by the executive search firm Isaacson, Miller. 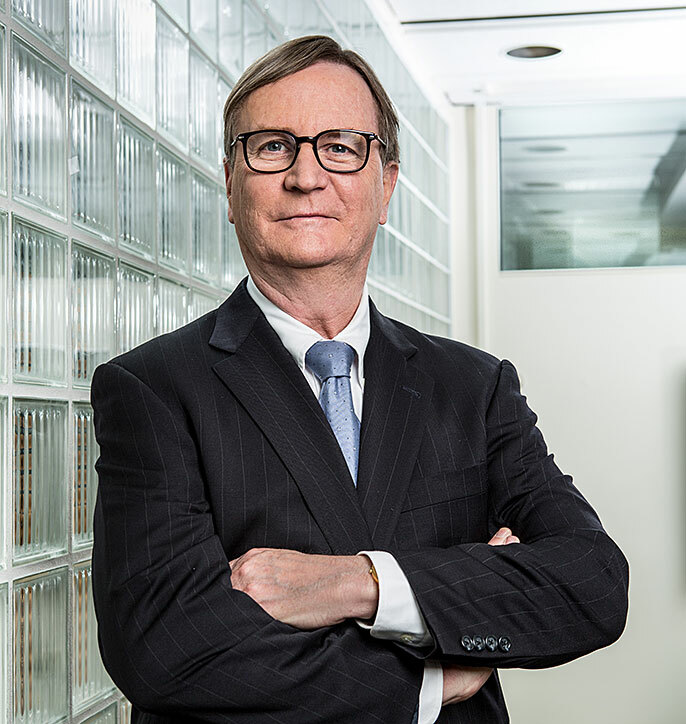 Renowned pediatrician and medical school dean Sam Hawgood has taken over as interim chancellor of UC San Francisco following Susan Desmond-Hellmann's departure. In December, it was announced that Susan Desmond-Hellmann would step down from her current position to become CEO of the Bill and Melinda Gates Foundation. Susan Desmond-Hellmann, chancellor since 2009, will become CEO of the Gates Foundation.